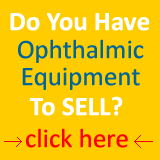 Tonometer Schiotz - Ophthalmic Equipment and instruments for the professional of today. 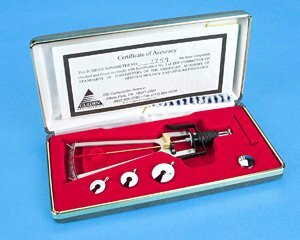 Tonometers Schiotz are used to measure and monitor intraocular pressure in the eye. 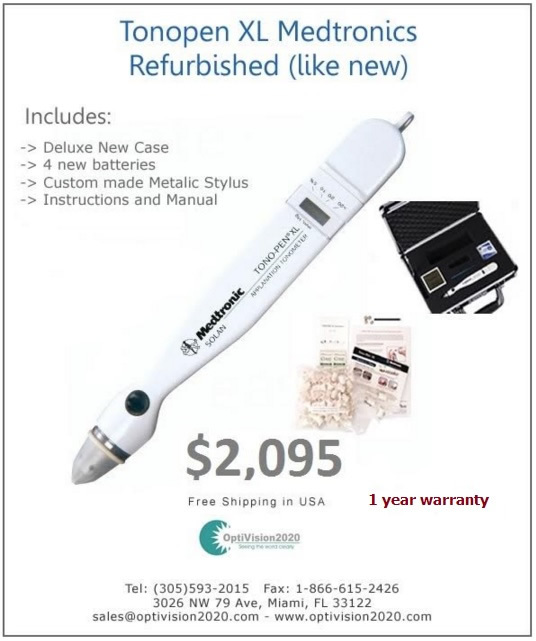 The tonometer Schiotz has a free­floating barrel with a footplate. Because the footplate radius is greater than that of the cornea when resting on it, the instrument slightly flattens the cornea. At the center of the footplate there is a hole through which a plunger protrudes. The plunger assembly can be loaded with additional weights so that its total weight varies from 5.5 grams in its unloaded state to 7.5 or 15 grams. Gulden certifies the tonometers Schiotz to U.S. AAOspecifications #5. Durable design &Protective anodic oxidation coating for autoclaving. Are you done with the tonometer schiotz ? Go to Tonometer.